In the past two weeks the U.S. government has made several announcements outlining whole-of-government response to the Ebola outbreak in Africa. 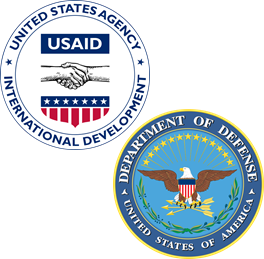 The U.S. Agency for International Development (USAID) is the lead agency in the effort, with support from the Department of Defense (DoD), the Centers for Disease Control and Prevention (CDC), and others. Speaking at the Concordia Summit in New York on September 29, Vice Chairman of the Joint Chiefs of Staff, Admiral James. A. Winnefeld Jr., explained the importance of interagency partnering, and pointed to the USAID/DoD efforts in containing Ebola as an example. “[DoD is] often postured to get to an area quickly, but other organizations usually have much greater knowledge of local needs and have greater capacity to provide necessary aid. In these situations, partnerships are absolutely vital,” said Adm. Winnefeld. According to the World Health Organization, as of September 23, there have been over 6,500 reported probable, confirmed, and suspected cases and over 3,000 deaths in the Ebola outbreak in Guinea, Sierra Leone, and Liberia. Liberia has been hit the hardest, accounting for over 1,800 of the Ebola related deaths. At present, there are around 200 U.S. service members supporting USAID efforts in the Liberian capital Monrovia, and it was announce in early October that up to an additional 4,000 U.S. troops could deploy to the Liberian capital as part of Operation United Assistance. Included among those deployed is the 101st Airborne Division at Fort Campbell, Kentucky, which will deploy as the Joint Force Command for Operation United Assistance. The mission of JFC-United Assistance includes supporting interagency efforts and supervising the construction of Ebola treatment units. The Pacific Disaster Center is also playing a part in the interagency Ebola containment efforts, supporting interagency information sharing for the Ebola crisis through its DisasterAWARE decision support platform. For more information about U.S. efforts, please follow the links below.